A lemur in Madagascar. Habitat destruction is one of the many factors facing this species that is very vulnerable to extinction. Photo credit: Shutterstock. An outbreak of the ebola virus in the Democratic Republic of the Congo has been responsible for the death of more than 20 people in the past ten days. First responders have reported difficulty in accessing those affected, due to the ongoing conflict in the country’s North Kivu Province. Ebola was responsible for a disastrous outbreak a number of years ago that resulted in a devastating loss of around 30,000 lives. At the time, officials say there is little risk of an international spread of the virus. An especially bad bout of red tide has been blamed for the washing up of dead sharks, manatees, and dolphins on the shores of the Florida coast. Though red tide, which is formed partially by coastal pollution, is a yearly occurrence, the red tide this year has been especially bad, and has resulted in a number of alarming images flooding social media. The highest mountain peak in Sweden may be no longer. Kebnekaise Peak, which formerly stood at a height of 2,096 metres, melted an average of 14 centimetres per day throughout one very hot week in July. Though the official measurement has not come in yet, it’s very likely that Kebnekaise has been surpassed by what was formerly the country’s second highest peak, called Sarektjåkkå. California experienced its sixth most destructive wildfire of all time in late July. Scientists were alarmed by damage from what appeared to be a fire-filled vortex, a destructive tornado-like wind of heat that is being called a “fire whirl”. Although no official name exists for this phenomenon yet, experts worry that they might become more common in the future. The massive heat wave that is being experienced across Europe has been blamed for food prices in the UK, which appear to be going up and up. The effect of the dry crops is being felt all across Europe as well, where food production is set to be the lowest in six years. The total lunar eclipse was seen in Iran this past week, as shown in photo evidence was posted on Sky & Telescope. The total solar eclipse, which occurred on July 27/28 and is being called the “Blood Moon Eclipse”, was seen in parts of South America, Asia, Africa, and Australia, but was not visible from most places in North America. It was the longest solar eclipse of the 21st century. 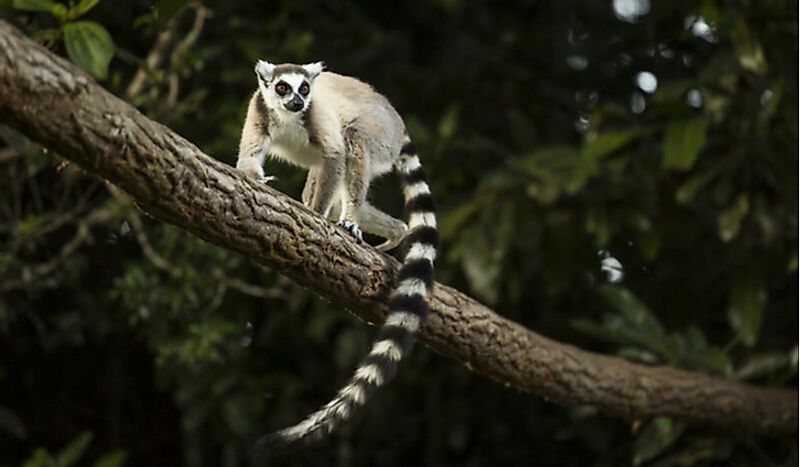 Lemurs are officially the world's most threatened primates, a conservationist group called the Primate Specialist Group has announced. Lemurs, who are among the very unique species that live in Madagascar, are especially vulnerable to climate change and habitat destruction. An increase of commercial hunting has also been seen in recent years.